Blood which gives extraordinary power to every note sung and every word uttered. The trio answered that all too familiar call on their lives to praise God through soulful music that has always been a part of their family roots through their grandfather who for more than 40 years sang, played multiple instruments, wrote and rearranged Gospel quartet music and who had the privilege to share stages with renowned artists like the Mighty Clouds of Joy and Jackson Southernaires, and through their cousins, the Pope Sisters, who paved the way for black female groups like the Supremes, by singing in movies, on Broadway and on stage with Duke Ellington in the 1930s. Little did these forerunners know that generations later their legacy would continue through their blood by this sister trio group called JUZANG, a French name that has been traced back to over a thousand years and according to the family’s coat of arms means “gracious and ambitious.” With music in their blood and born to sing, the sister-trio has been singing at churches and concerts; for special events like the President Barack Obama’s 2012 Democratic National Convention Gala and for four-star generals at distinguished military events. 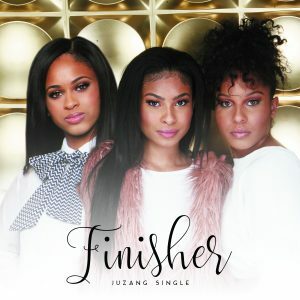 Also, in the footsteps of their grandfather, JUZANG has shared stages with Grammy Stellar, and Dove winning recording artists such as Richard Smallwood, Marvin Sapp and many other others. They have also performed numerous covers of well-known artists in the Gospel Industry and received personal accolades from Kirk Franklin, Mary-Mary, Donnie McClurkin and Donald Lawrence. JUZANG is a popular internet sensation and two of their most popular YouTube covered songs have exceeded views over 2.3M (“He Wants It All/He Loves You/We Fall Down”) and 1.6M (“All We Ask”). 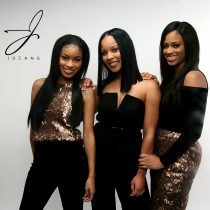 JUZANG CD project, “The Path,” was nominated for 4 awards by the South Florida Gospel Music Academy in 2010. In the summer of 2012, JUZANG organized a summer tour where they ministered in West Palm Beach, FL, Washington, DC, Riverside, CA, and Los Angeles, CA, where they ministered at many churches including two mega-churches (Noel Jones’ City of Refuge and Bishop Charles E. Blake’s West Angeles COGIC). JUZANG also released digitally an EP project, “Back 2 Life.” All of their hard work up to this point has led them to a broader market to include: (1) new management under Jazzy Jordan, who is the former Sr. V.P. for Sony/Verity and is mentioned in the same breath with Barry Gordy and Quincy Jones; (2) signing with San Diego based record label M.A.N.D.A.T.E. Records; (3) a recently signed contract with Disney for a soundtrack for one of Disney’s movies; and (4) television opportunitieswhere they have created a commercial for the Nissan Fiat automobile and have been noticed by some Paramount and some ABC executives. JUZANG has also had the privilege of being on televised programs to include the internationally known Bobby Jones Gospel Show (Word Network), Magnify Him on the Dare to Dream Network and the Atlanta Live Network.One of JUZANG’s greatest moments during their singing career is when they were asked to sing for two evangelistic meetings where their music assisted in motivating approximately 78 youth to accept the call to be baptized. JUZANG has also raised through their 501(c)(3) Kidz 4 Kidz, Inc. over $11,000 for medically challenged and abused children. They say music run in the blood, and in the case of JUZANG, it runs deep. Join them on their journey to see where God will lead them next to impact the world for His Glory!